Warts come in many shapes and sizes, but they usually have one thing in common — they’re unwelcome. While warts aren’t considered dangerous, they are contagious and unsightly. 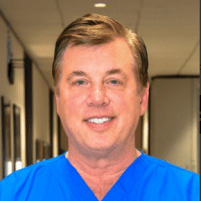 At Texas Family Practice Associates, Dr. Samuel Siegler II and his staff routinely help their patients in the Houston area easily get rid of unwanted warts. To clear up your skin, call or book an appointment online. Warts are bumpy growths that appear on the surface of your skin, usually on your hands or feet. These growths are benign, meaning they aren’t cancerous, but they’re caused by a virus, typically the human papillomavirus, or HPV. Warts generally pose no immediate health risks and are often more of an aesthetic concern than anything else, especially when they develop in highly visible places. But since warts are also considered contagious, it’s important to have Dr. Siegler treat them, especially among children who are more likely to spread them at school. Plantar warts, or foot warts, strike the soles of your feet, often leading to pain or discomfort. These warts typically grow in clusters. These smaller and smoother warts can crop up anywhere on your body, at any age, and usually come in groups of 20-100. Children mostly get flat warts on their faces, while men develop them on their chin and cheeks, and women on their legs. To get rid of unsightly warts and prevent their spread, call Texas Family Practice Associates or book an appointment online.